IEC male power with an integral switch and fuse holder(Fuse is not included). This Male Power design with Fuse Holder(Use Only with 250V Fuse). Perfect for your CNC controller box. 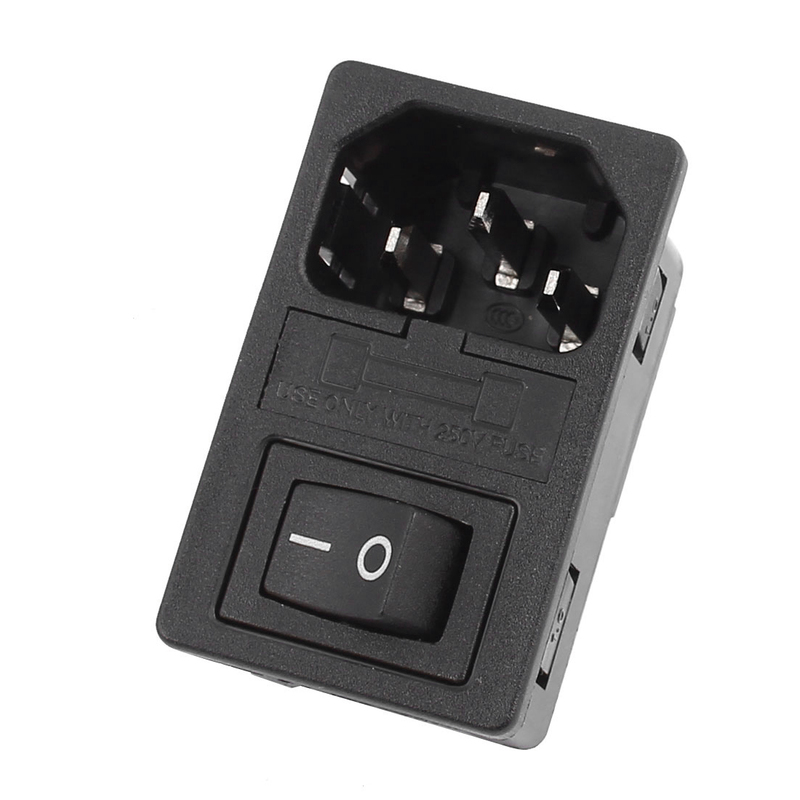 Ratings on the switch label are only for Purely Resistive AC load, for other types of loads please refer to the ratings above.DC load Current ratings are much lower than AC load,if you need to use this switch with more than 0.5A DC load, contact us for compatibility at first.